Here are some thoughts on the 2015 WNBA All-Star teams, and also, the snubs of players who did not make the team. 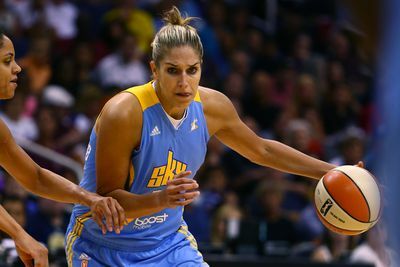 The Eastern Conference and Western Conference WNBA All-Star reserves were announced Tuesday night during ESPN2’s broadcast of Phoenix vs. Los Angeles. It appears that Tamika Catchings, Cappie Pondexter, Sue Bird and Plenette Pierson have all discovered a fountain of youth. Catchings, in her 14th year in the WNBA, is making her tenth appearance in the All-Star game while Pondexter, in her tenth year in the league, is making her seventh All-Star appearance. Pondexter is currently eighth in the WNBA in scoring at 16.1 points per game. However, the West has some experienced players as well. Bird is playing in her 13th WNBA season and her ninth All-Star game. Pierson, who is having the best season of her 15-year career, is making her first ever All-Star appearance. Most players do not peak in their fifteenth season, as Pierson is doing. The Minnesota Lynx and Phoenix Mercury lead all teams with three All-Star selections. This makes sense considering the Lynx and Mercury currently sit atop the Western Conference standings. However, New York, who is in first place in the Eastern Conference, only garnered one selection and Atlanta, who is currently in last place in the East, received two selections. Furthermore, the East was much more balanced with its selections per team, while the West had three teams only garner one selection. The number of selections per team seems to mirror the current standings in each conference. The East is a much more balanced league, where six teams are currently divided by five games. On the other hand, the West is extremely top-heavy this year and is divided from first to last place by nine games. While every player that was selected to the All-Star game is very deserving, I do think there were two key players that deserve to be on an All-Star team but did not receive a selection. In the East, Courtney Vandersloot was certainly snubbed, as she has been the best true point guard in the conference so far this season. She is averaging 12.2 points per game and 5.0 assists per game while shooting 49.0% from the floor and 94.7% from the free throw line. Vandersloot ranks second in the WNBA in assists per game and first in the Eastern Conference. She ranks third in the WNBA in free throw percentage, third in three-point percentage and she’s a major reason why the Sky is only one game back from first in the Eastern Conference. Rebekkah Brunson also deserves All-Star recognition. She is averaging almost a double-double at 10.1 points per game and 9.2 rebounds per game. She ranks in the top twelve in the WNBA in rebounds, steals (1.56) and blocks per game (1.06) as well as field goal percentage (.488). When it comes to All-Star selections, Brunson is at a disadvantage because of the teammates she plays with, as the league is hesitant to select four players from the same team. But don’t you think a team that is 12-4 deserves four selections even it results in a team that is 3-13 only receiving one selection? For example, the Atlanta Hawks sent four players to the NBA All-Star game last year because they had a significantly superior record in comparison to the rest of their conference and because they happened to have four players that were deserving of the honor. The name on the front of the jersey should not disadvantage a player from making an All-Star team.